Hello all, just thought I would put a few words together as regards a recent award that Carsington Sailability has just won. In September of this year I was asked by Accessible Derbyshire if I would submit a nomination for an awards evening they were hosting with particular focus on the “Summer Splash" event the club runs for the ill children. Historically, this was entitled the Hospital Day but a more appropriate title was incorporated to better describe the day. 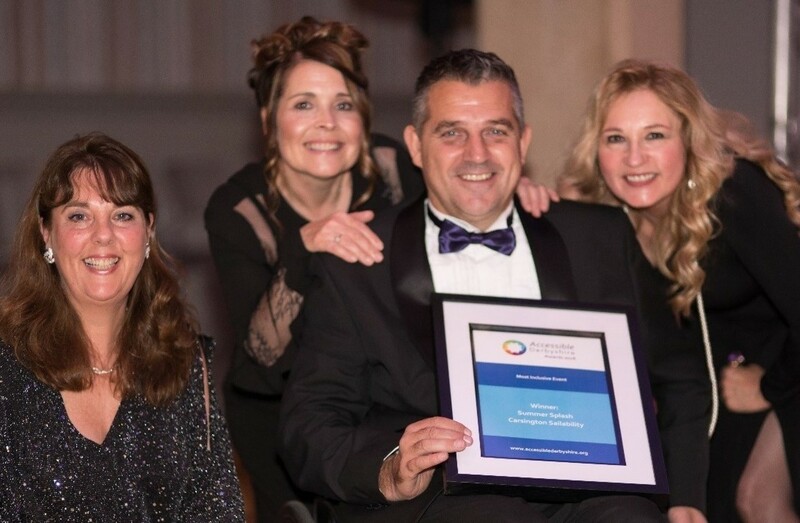 Accessible Derbyshire is a charity founded by two amazing women, Gillian Scotford and Jane Cooper, who work tirelessly an strive to make Derbyshire the most accessible county in the UK. I have worked previously with Accessible Derbyshire to enable us to have the, “Mobile Changing Room" we have on site and also a financial contribution to the concrete base where the unit is currently located. I have also attended a few of their seminars with other Sailability members promoting our club. 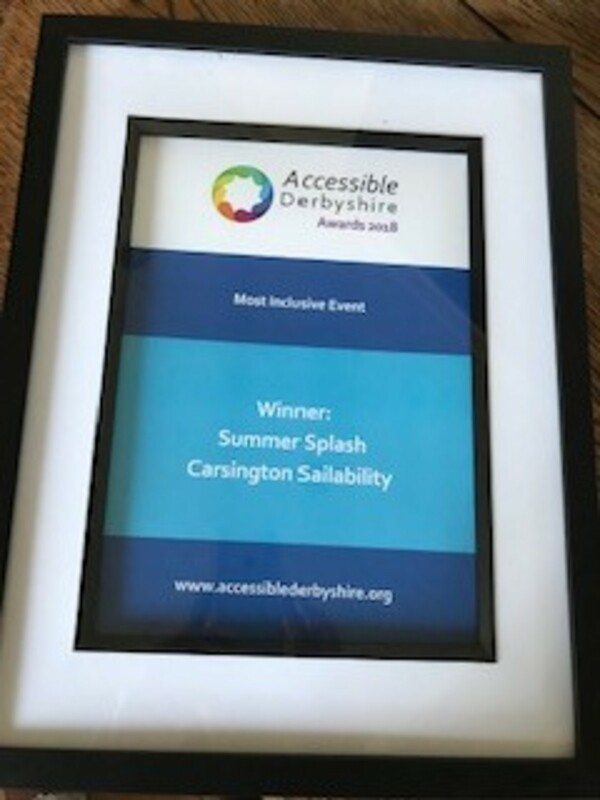 Once I received the nomination form, I completed as requested and importantly stated that Carsington Sailability did not achieve the success of the day alone. The event was only a success with the full support of the Sailing Club whose members dedicated their time and vessels to make it happen. The support from the management team and the Galley on the day was invaluable and also the Well Child Charity who had the expertise to make the day seamless and support the children's needs. Importantly we must not forget the person whose idea made this a reality, the sailing Club Member and inspirational David Thomas. After the nomination was submitted, I received an invitation to the awards ceremony who said we had been shortlisted for the award of “Most Inclusive Event". To represent the club myself and my wife, Mandy, attended. I dusted off my dinner jacket and polished my teeth. Hey, you never know the new James Bond is up for grabs. Now that would be a turn up for the books. Well, we have a female Dr Who. Anyway, back to the real world. Yeah, we won the ward. It was presented by The Accessible Derbyshire ladies and I felt so proud for the club. 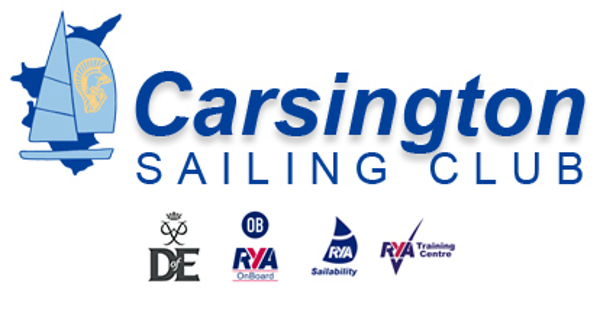 Carsington Sailing Club is a truly inclusive club and long should it remain so. In these times of fake news, it is an uplifting experience to be part of some real news.